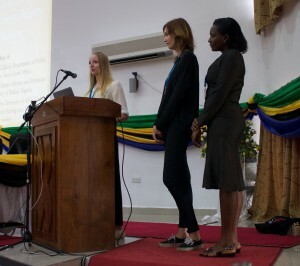 During three months, I did a field study in Tanzania about aid and women’s education. I investigated two projects that focus on young women’s education. One of the projects is the Mama-course program, which gives pregnant girls a second chance to education, and the other is the Help-to-help foundation, which offers scholarships and skill-training to ambitious students who wish to study at university but don’t have the economic means to pay the tuition fees. After interviewing numerous people, I strongly believe that both of these programs are important, and that they include a new way of thinking about aid. 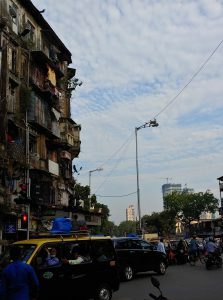 In my opinion, these projects respond to the local needs, build human capacity, and provide ground for making long-lasting changes in the society. They alter social norms, help people to be independent, and thus, empower the poor and marginalized. 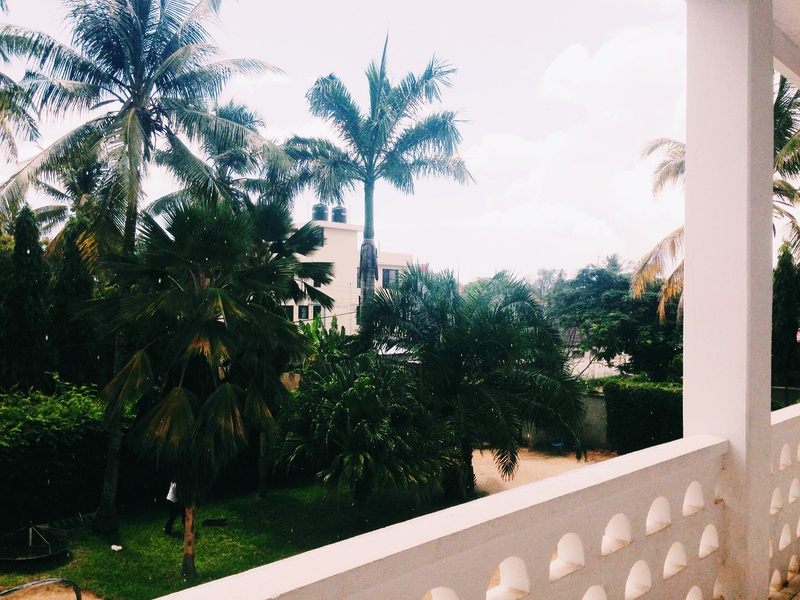 The time I spent in Tanzania was valuable, and I learned a lot. I will certainly miss the friends I got and the adventures I woke up to every day. I am very grateful to all the people who helped me with various things, participated in my study, and made my stay a blessed one. In very few places, I have received so much love. Nevertheless, there are numerous issues in Tanzania that are problematic and hinder its development. The country has been dependent on foreign aid for decades, and this without showing much progress. One might ask if the external support impede on the government responsibility to provide political goods to its population. Is aid a solution for development, and if so, how should the external support be carried out? The government aspires for Tanzania to be a middle-income country in the near future. And indeed, it is a country with resources, and the economic growth has been high for several years, with an annual growth rate around 7 %. However, the majority of the population is still living in poverty, with a huge gap between the rich and the poor. Gender equality is far from reached. Women are still doing most of the work in the household, they are often discouraged to make their voices heard, and they might not have the right to decide over their own bodies. Forced marriages, early pregnancies, and sexual violence occur. Domestic violence is more a rule than an exception. In many schools, children are beaten by their teachers if they don’t behave in a disciplined way. The pupils might be punished if they fail an exam, have a sexual relationship, or are late to school because they had to work in the morning. 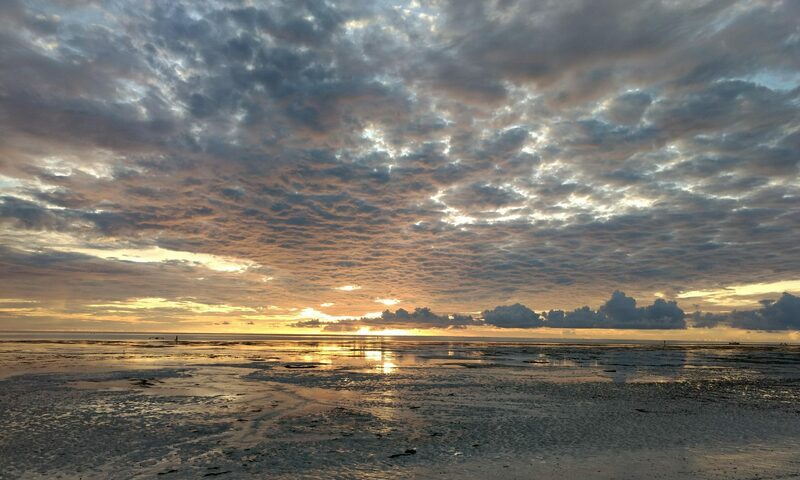 Nonetheless, most Tanzanians I met were proud of their reputation of being so peaceful. But from my view-point, it seems to be a long way to go before peace has occurred at all levels in their society. A sustainable development must include empowerment of the disadvantaged. All people should have the right to a decent life, without discrimination or violence. I went to Tanzania with the idea that education is the ground for development. But education is not enough. It must be qualitative, based on individual needs, and it should provide for life-long learning. To have a school system in which the students are worried about not being able to pay the school fees, are afraid to be beaten, and are not allowed to ask questions or think critically, and where boys and girls do not have the same chance to finish their studies, it might be very difficult to develop to a middle-income country. The change must come from within. Economic development is not the same as sustainable development. Education is a step, but it must be carried out in a way that provides for the people to be able to build the country. If aid should be a way to reach these goals, it must help people to help themselves towards a sustainable development. I hope that people will get the chance to understand their capacity to change their lives and to improve their conditions. It’s time that Human Rights become global norms. Imagine that you are a teenager in Tanzania. You come from a village. Every day you go to school, and you love studying. You study hard because you know that your parents are poor and they struggle to afford paying your school fees. But you are planning to do well, and find a job. Your future seems bright. Then suddenly, you see that your body is changing. You hope that everything will be alright. But you know that it will not. You have become pregnant. What is going to happen next will possibly destroy your dreams. Soon you are suspended from school in accordance with Tanzanian law. Your friends laugh at you and wonder how you could be so stupid. Your family is angry and disappointed. Maybe you are not welcome in their house any longer. The boy you thought was in love with you says that he does not like you any longer, and he denies that it is his child. This is a common situation for young girls and women in Tanzania. If one gets pregnant in primary or secondary education, she is forced out from school, and the community disregards her. Some might get support from their families or relatives. Others are completely rejected. They have lost their chance to education, and the way they thought would lead to a better life. So, one might ask if this practice in accordance with the International Human Right Charter that claims that every child has the right to education? Or if it follows the UN’s Sustainable Development Goals that will promote equal and qualitative education for all, at all levels of education? The answer is: No. And still, it is happening on a daily basis in Tanzania. Moreover, this issue is well-known. And for some of these young women, there might be a second chance to education. One program that I believe gives the opportunity is the Mama-course program provided at six Folk Development Colleges in Tanzania. I have visited three of those, and I was surprised by the change they seem to bring. Firstly, the Mama-course program gives the young mothers free education for two years. They live on the college with their child together with 14 other young mothers. They learn things such as entrepreneur skills, life skills and English, and they get vocational training, for example in cooking, farming, or electrical installation. The positive effects of the two years program are prominent. The young mothers get more than education. They regain self-confidence. They see the possibility to become independent. They get respected by the community again. The parents are happy and they can help to support them with knowledge and skills. Their children become healthier at the college, and they learn new things in kindergarten and get friends during the program. The mama-course students now see the chance to get employed, start their own businesses, or (if getting enough capital) continue with secondary education. Still, as with many good programs in Tanzania, there are issues with the capital. Only 90 students every two years are able to enter the program, and currently there are problems with the funding. The mama-course students at Ilula FDC had to interrupt their studies after the Winter-break due to lack of finance. They, and their children, are still waiting for a chance to enter the program again. Just give them the chance that is every person’s right. The possibility and right to: Education. The rain has just passed, the sun is slowly coming out, and the wind is decreasing. Soon the sky will be blue again and the temperature will rise. I’m sitting on the balcony, looking at the palm trees, and listening to the songs from the birds. Today I have been in Tanzania for two months. I am back in Dar es Salaam. For the past five weeks, I have been travelling around Tanzania, working on my projects, making interviews, talking to people. My first impression when I arrive here was that people are very friendly and helpful, and this view remains. In all places I have been, I have made many new friends. People say that the Tanzanians are peaceful and warm people, and I am keen to agree. Nevertheless, there are many problems facing people here in Tanzania. Corruption is common, poverty is widespread, children are out of schools, and every day some people fight for survival. They struggle to meet their basic needs. Some people in the villages just eat once in a day. The food is simple: ugali (a local porridge of maize flour) or perhaps rice and beans. If being lucky, maybe they can add some vegetables, fruits, or eggs. It varies from one day to another. Moreover, the value of the dollar is increasing right now, and it does affect the Tanzanians. The Tanzanian shilling is getting weaker. Food, hygiene articles, medicine, oil etc. are likely to become increasingly expensive. The external support they were receiving from other countries is weakened. For some of the people, life is hard. Frequently, people ask me for money. They hope that I could help them. They think that the solution might come from external givers: that we in the West have the money and capacity. I understand how they think, and in some senses they are right. We are extremely lucky to be born where we were born. But I do not believe that the solution is external support in that way. I believe that Tanzania has all the potential to decrease the gaps, reduce poverty, and to prosper. Tanzania has resources, they have human capacity, they have willingness to develop, and the people want to have a good and peaceful life. The main problem is that many are lacking capital and/or knowledge how to proceed with their future objectives. And there, I believe external support could help, to give the main tools for development. Then, external support could be sustainable, and help in the long-term perspective. Even so, the way towards sustainable development might be a long journey to walk for Tanzania. But change could also happen very fast here. Already, I notice that there is a shift in people’s mindsets and many Tanzanian I talked to believe that good education and equality is vital for their future development. In October this year there is an election in Tanzania. My fingers are crossed that people will use their right to vote, and that good governance, provision of political goods, and human rights will be prioritized and implemented by the political party that wins. Will We Learn Together for Change..? In September this year, the member-states of United Nation will agree upon a new Global Development Agenda that will come into force 1st of January 2016. The current Millennium Development Goals, MDGs, will be replaced by 17 new Sustainable Development Goals, SDGs. In the new agenda, Goal 4 is about education. Unlike the MDGs, this goal is not only limited to reassure enrollment in primary school, but it also includes provision of qualitative and affordable secondary and higher education, as well as possibilities for inclusive research. Nevertheless, the reality we are facing right now is quite different, and this Goal will meet many challenges. The main question might be how we will manage to provide education for all, which leaves no one behind? 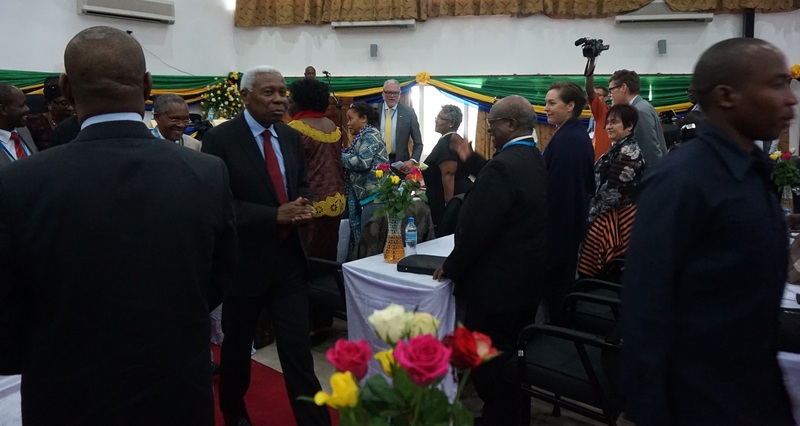 Last week, I participated in the conference “Learning Together for Change, Advancing Education for All through Higher Education” in Arusha, Tanzania. 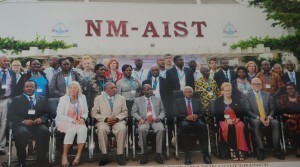 It was an interesting conference with around 160 representatives from 24 African and 15 Swedish universities. 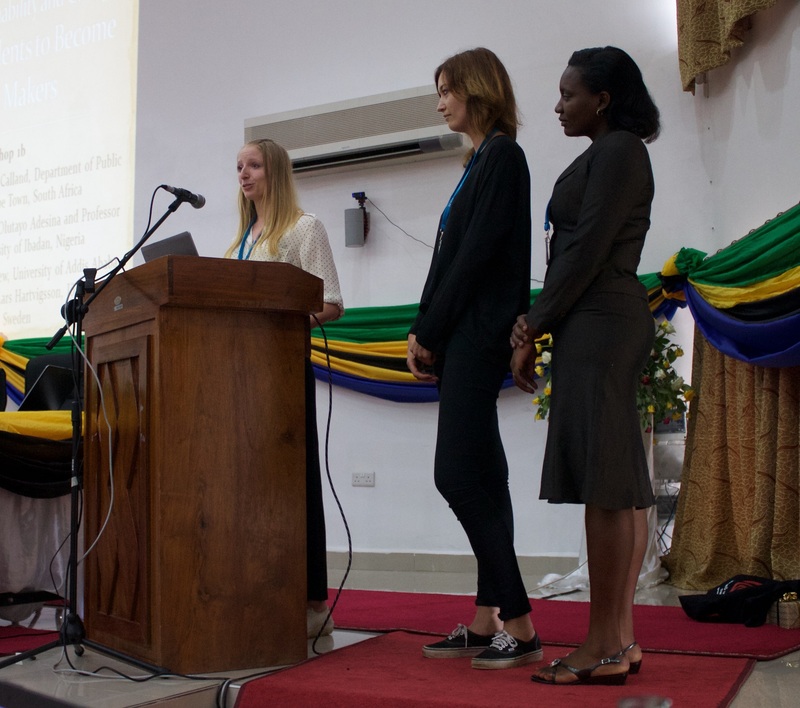 As the youngest participant, and a student of International Relations (doing a research about Higher Education for Females in Tanzania) it was an interesting forum to gain more knowledge in the field, and an understanding of the African context. There are certainly great differences when it comes to education in this large continent! Currently, many African countries are doing well when it comes to the enrollment of pupils in primary education. Most children, both boys and girls, are enrolled in primary school. But far from all are completing the primary level of education. Even fewer continue to study in secondary school. Very few succeed to travel the long journey towards Higher education. And a very small number of students are able to receive a university degree. Thus, during the conference, we were discussing the challenges that prevent us from providing education for all, at all levels here in Africa. Some of the problems we discussed are the issues of drop-outs from schools, the financial difficulties many families meet, the cultural norms and practices, the issues of early pregnancies and child marriages, the gender expectations, the gaps between the urban and rural areas, the poor training of teachers, the sometimes poor quality of the education provided, and the low salaries and status for the teachers and principals. Some countries, such as South Africa, has come far to meet these challenges, whereas many difficulties remains in countries such as Tanzania. Moreover, all participants in the conference took part in two workshops to further discuss some of these obstacles. There were totally eight workshops. I was joining the ones titled: “Education for All and Higher Education in a CRC context (the Convention of the Right of the Child)” and “How to Prepare Students to Become Change Makers”. Together with two other young women, I was presenting the results from the workshop “How to Prepare Students to Become Change Makers”. It will not be an easy task, and many actions and cooperation between countries are needed to meet the challenges. 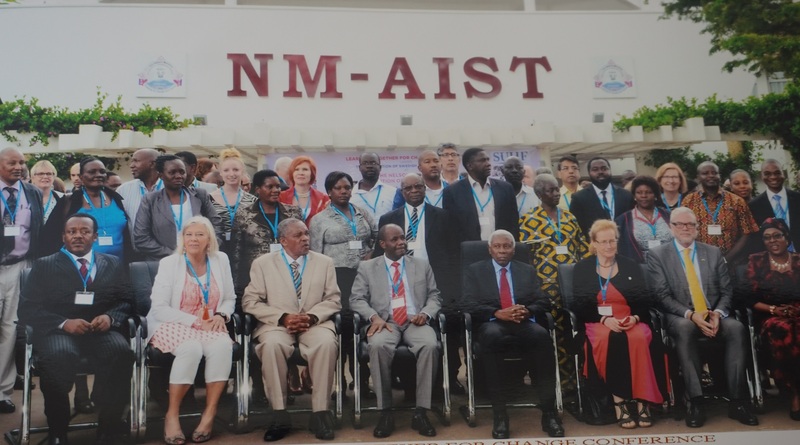 To sum up, the aim of the three days long meeting was to exchange educational experience from the 20 different countries represented, and try to learn together to improve education. Additionally, conclusions from the workshops will be reported to the UNESCO World Education Forum in South Korea 19-22 of May, where the post-2015 education agenda will be discussed in more detail. I am looking forward to see how this will develop!